Yes the MG B really does synonymise British classic cars and we here at Classic Cars HQ love these little beauties too. 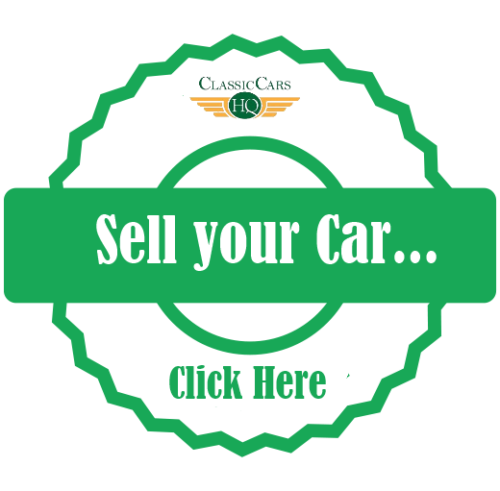 Their curb appeal, price and spare parts and enthusiast community is one of the best and most established in all of the classic car world. 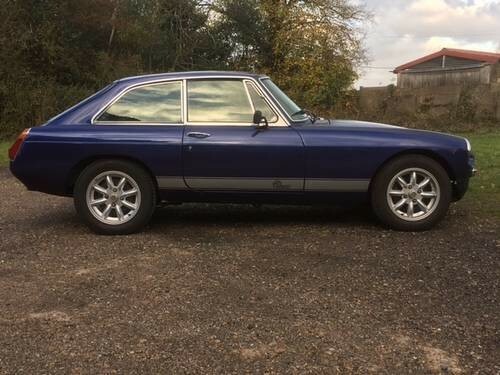 This is why we are bringing you 3 of the latest and greatest MG B’s (Both GT and Convertible) which are currently for sale in the CCHQ Classifieds. This lovely red MG B GT has been the pride of the owners eye for almost 10 years and is now up for sale after undergoing a recent restoration in 2013. A full re spray and many new parts have been adhered to with the car covering just 60 miles since being fully restored. She features an overdrive and a Webasto sunroof and just 81K on the clocks. She comes with a new MOT and also a front splitter making her look the part indeed. A lot of lovely looking car for just £6,000. Check out the full ad for the restored MG B GT here or find more classic MG cars for sale in the MG section of Classic Cars HQ. This blue MG B GT is not like every other, she has been professionally modified to the Lotus 7 specification by Roy Simmons Engineering who specialise in building and preparing racing motorcycles and cars. Fitted with a K-Series 1,800cc Caterham Engine, 16V Twin Cam; Coil-over Springs; 5 Speed Ford gearbox; Vented brake discs. MG Enthusiast Magazine article features this unique MGB GT. Yours for just £9,500. Check out the full ad for the Lotus 7 spec MG B GT here or find more classic MG cars for sale in the MG section of Classic Cars HQ. This little MG B Roadster has been the celebrity of the NEC classic motor show last weekend. Shes a 1971 with an overdrive and is tax exempt. 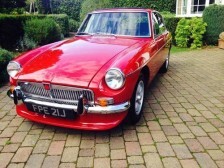 Shes described as a very easy project car which needs an MOT and some recommissioning. Runs and drives well but, has been taken off the road recently by the previous owner (who has owned the car for over 37 years.) 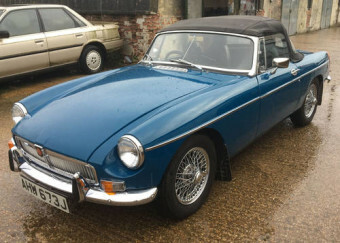 A rare and fantastic opportunity to own a classic MG £7,000. Check out the full ad for MG B Roadster here or find more classic MG cars for sale in the MG section of Classic Cars HQ. So which one would you drive home?